The New York Times has some nice photos of the round house (actually, double-round house, with super-cool round carport) that famed architect Frank Lloyd Wright designed in 1948. It’s now on the market for $1.5 million. Round rooms are very interesting, because you define space by corners and a round room is halfway to infinity. It does have a floor and ceiling, but it was special. A beautiful double-round house designed by Frank Lloyd Wright is now for sale in Pleasantville, New York. Built in the late 1940s, the house’s circular design prefigures the Guggenheim Museum in NYC. The asking price is $1.5 million. If you’re not ready to buy it, you can rent it for the weekend. As the owners will tell you, spending time in the dome is liberating. Two of the most creative architects ever to embrace the round form, Frank Lloyd Wright and Bruce Goff, were both born on June 8—Wright in 1867, and Goff in 1904. 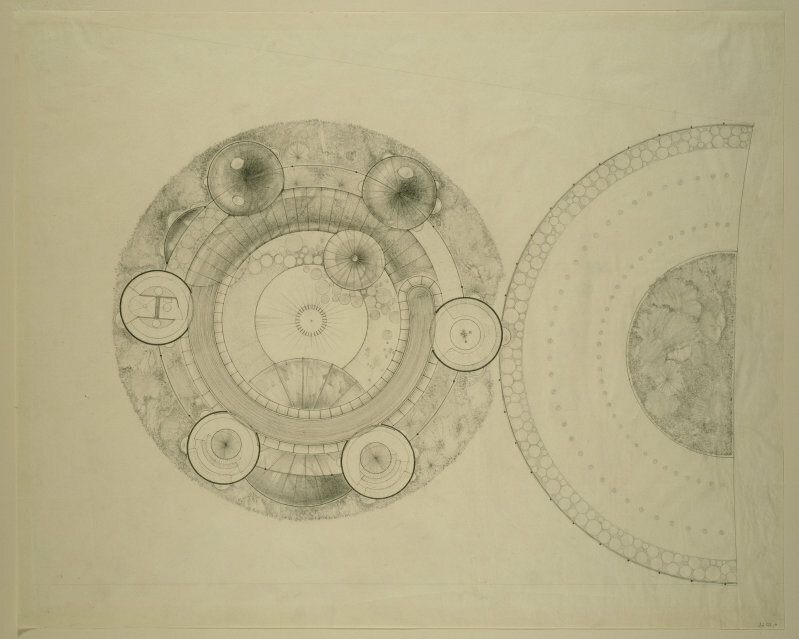 For Wright, the circular form symbolized freedom, an escape from the traditional residential box. As he explained in 1952, “a box is a containment. I tried to abolish the box.” Wright designed at least 14 round and semi-circular houses, as well as, most famously, the spiraling Guggenheim Museum in NYC. Not all of his round house designs were built; sadly, some of his most beautiful and innovative efforts never made it beyond the planning stage. Another unbuilt round house was the Ludd M. Spivey house, which Wright designed during the same period. 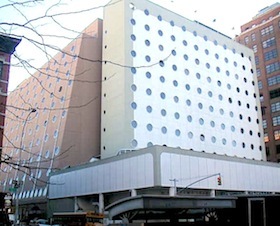 The hotel is the latest incarnation of an iconic 1966 building designed by Louisiana architect Albert C. Ledner, known for a sort of playful, oddball modernism. Just off Ninth Avenue, stretching between West 16th and 17th Street, the building was recently transformed by Handel Architects. The building’s 16th Street facade, above, was covered in shiny stainless steel, as was its 17th Street facade (on the left, below, in its original red-brick cladding). 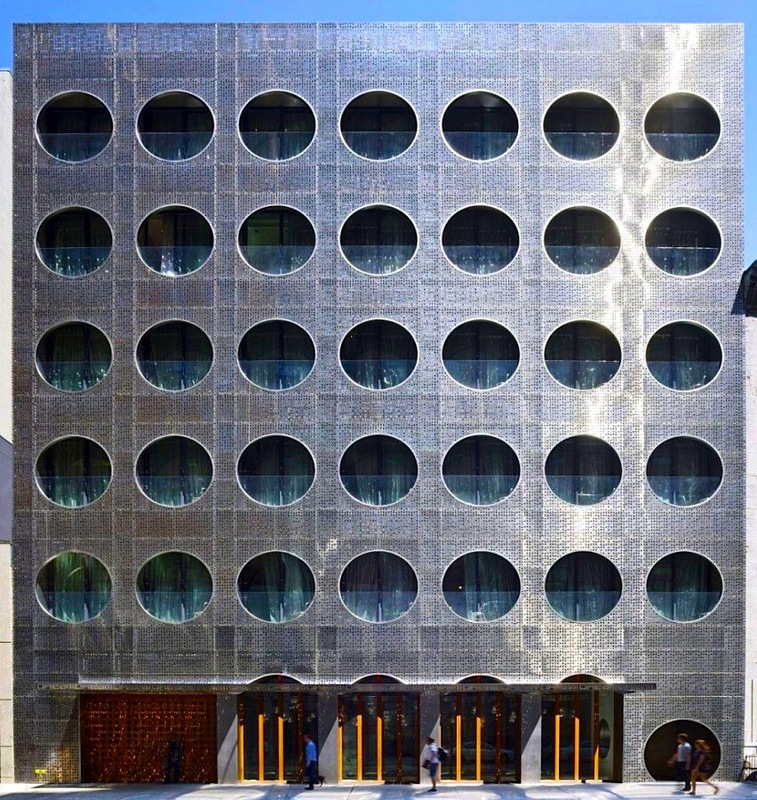 The building’s circular motif — equally in evidence in the adjoining Ledner-designed structure, the white tile and concrete Maritime Hotel — reflects the structure’s history. 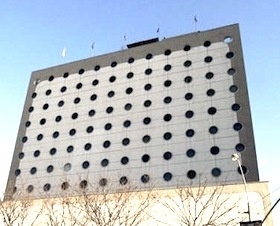 Both buildings were originally annexes to the headquarters of the National Maritime Union: the porthole windows were a coy reference to life at sea. 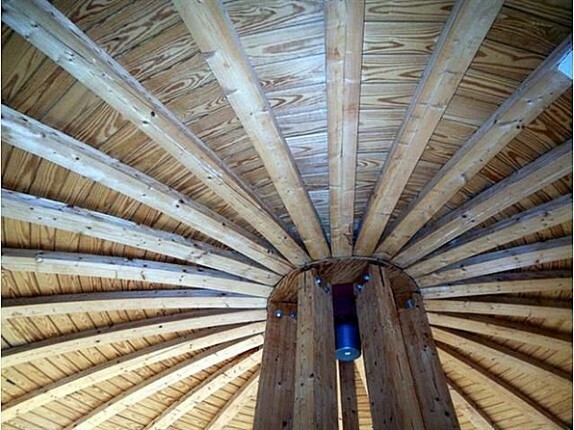 Ledner, whose use of circular forms extends from his professional to his personal life, or vice-versa, lives in a round house of his own design in New Orleans. You can find round and circular-form houses for sale right now in the US, UK, Australia and Canada for prices ranging from $87,500 to $10 million. On the lavish — and arguably garish — end of the spectrum, there’s this 1980s luxury villa on Hamilton Island, in Australia, and the “Corbetta Estate” in Los Altos Hills, California (which was the cooler and much more fun Corbetta Party House in a former incarnation). Bringing up the low end of the market, at a modest 696 square feet in size, is one of the many small post-war round houses in Des Moines, Iowa. A 1961 modernist home in Highland Park, Illinois, above, is stunning. Designed by architect George Keck, the house encompasses a pool with a retractable roof. This mid-century modern house in Ontario, Canada, has some style. The listing photos are not great, but I can make out a nifty fireplace and a nice curving staircase. Everyone wants their own island, right? Especially one that’s only a half hour from Manhattan. You can also find two round houses for sale in the UK, one in Portland, Dorset, selling for £925,000, and the other in Sidmouth, Devon, selling for £849,950. This swirling video shows the circular dwelling from the air. Currently on sale for $1.2 million, this rotating dome in New Paltz can turn a full circle in five minutes. The house was built using a kit from France called Domespace and has bamboo floors, stone cabinets, and a central spiral staircase. Airport control towers are one of the few structures for which round design is the norm. 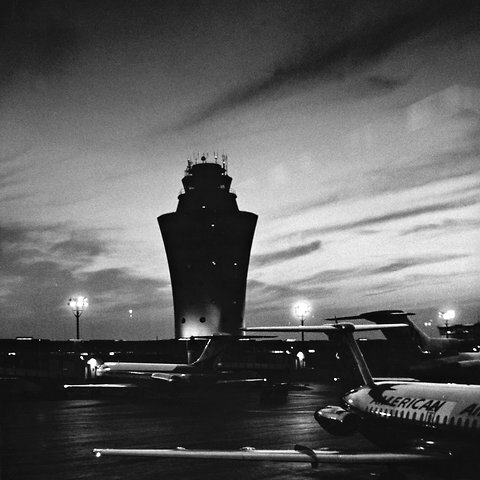 While the circular form of La Guardia Airport’s 1964 control tower was, in itself, not surprising, the tower was still original, playful and fun. Now it is gone. If you haven’t flown through La Guardia Airport in recent months, you’re in for a surprise. Whether it’s a pleasant surprise or an unhappy one depends on your feelings about curvaceous, eccentric, whimsical architecture …. 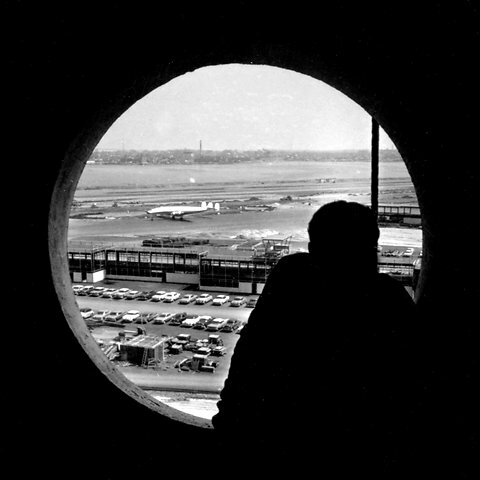 No other airport had anything quite like this porthole-pocked cynosure; a hometown creation by Wallace K. Harrison, the consummate New York establishment architect of the mid-20th century.